When you see puppies being sold in pet stores, those puppies usually didn't get there in the best of ways. 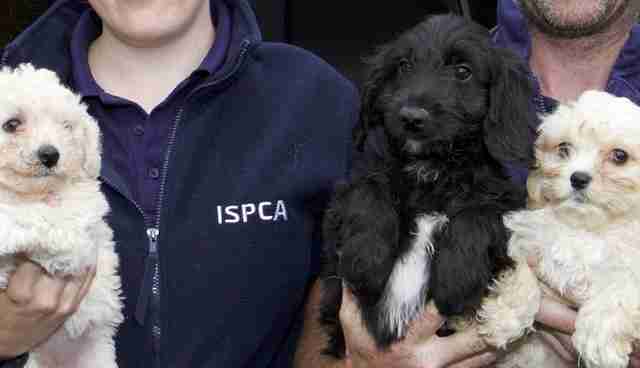 Thirty puppies were recently rescued from the illegal puppy trade from the Cairnryan Ferry Port in Scotland - 10 earlier this week and 20 earlier this month. 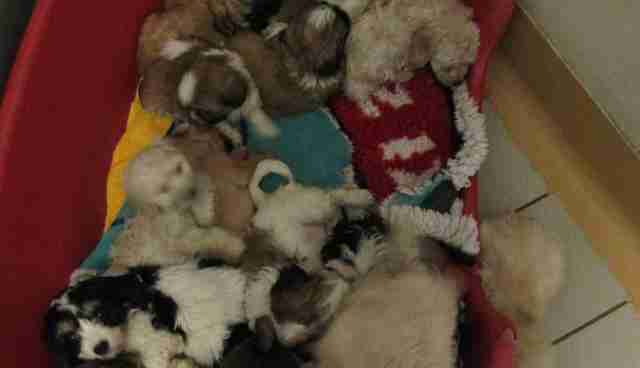 The puppies were found piled in awful conditions, confused and helpless. 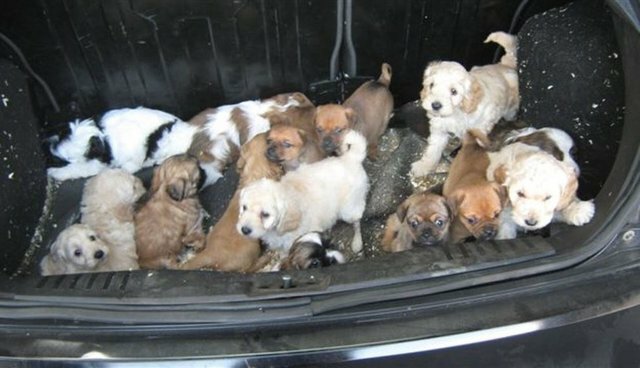 The Scottish SPCA took in all 30 puppies, and then transferred them to the Irish SPCA (ISPCA), as the puppies likely came from Ireland. 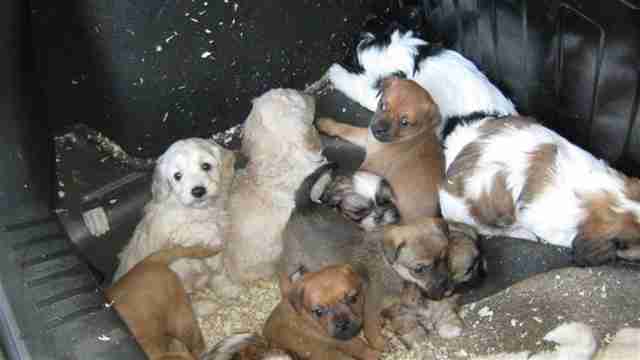 "Unfortunately the puppy trade is big business in Scotland, with thousands of dogs being brought into the country each year, from Northern Ireland and the Republic of Ireland in particular," an undercover inspector with the Scottish SPCA said in a press release sent to The Dodo. 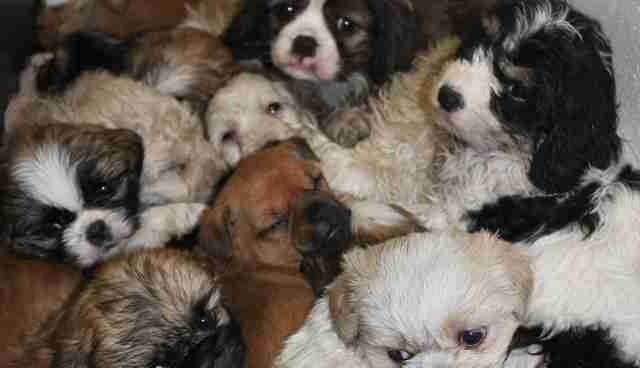 The breeds of the puppies found included shih tzus, bichon frises, Cavalier King Charles spaniels, cocker spaniels, pugs, cavachons and cockapoos. Each of these puppies can be sold for over $1,000. The ISPCA is now caring for the puppies, and they're all healthy, happy and doing well. "They are just adorable," Carmel Murray, public relations manager for the ISPCA, told The Dodo. "All of the puppies are now reserved and will be heading off to loving new homes very soon." Luckily for these puppies, they were rescued before their situation could worsen, and will now be off to their forever homes. Unfortunately, many puppy mills in the U.S. are legal, but there are ways that we can help stop them and save thousands of dogs. Take a look at what actually goes on at puppy mills and why buying puppies from pet stores is never a good idea. If you'd like to add a pet to your family, adopt, don't shop: Check out Adopt-a-Pet.com to get started.